This billet trigger wheel from MMR is designed to replace the factory stamped steel piece. 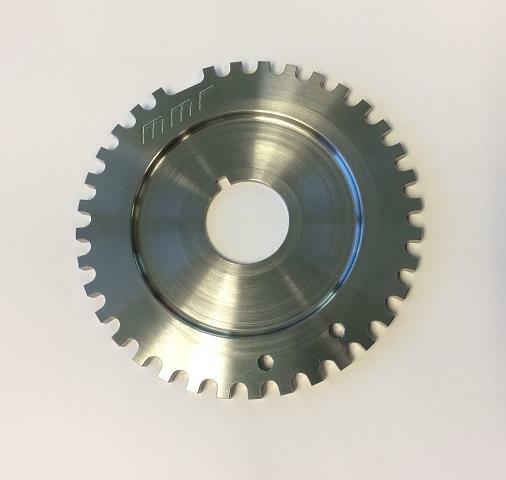 The MMR trigger wheel features CNC machined precision compared to a stamping which can vary as much as .007" and cause timing errors. This trigger wheel is one of the most important parts of the ignition system besides the coils and spark plugs themselves!